The northernmost tip of the fortress is entirely taken up with storage buildings, all of which have thick walls and date to the first phase of construction. The square-roomed buildings in the north are a type that is well-known from a variety of settings, including other fortresses, Middle Kingdom planned settlements in Egypt itself, and artistic representations. They are granaries, designed to hold the wheat and barley that formed the staple of the Egyptian diet. 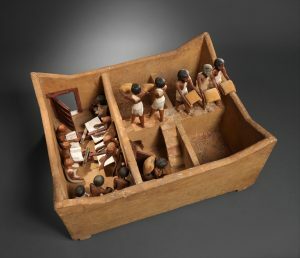 Model Granary from the Tomb of Meketre, ca. 1981–1975 B.C. The Uronarti granaries, as is true for most of the fortresses, could have held a grain-supply well in excess of the annual requirements of the garrison who probably lived here. This might have allowed provision for emergency in the case of attack, but also would have served as the chief trade good of the Egyptians. The grain to fill the granaries came from Egypt itself. We know this from the abundant remains of ceramics in and around the fortress. It makes sense: the area around Uronarti had almost no floodplain and could not have produced the food necessary to feed the inhabitants. This was a state foundation, and was maintained by the state for as long as people lived in it. The square rooms of the Uronarti granaries look much like the model of Meketre. The doorways are later additions. In their first phase of use, they would have been filled from the top. Amidst the granary and treasury storerooms is a suite of rooms that looks very much like a smaller version of the Administrative Building in the south. It likewise has a front hall with a staircase and columns, and three long magazines behind it. 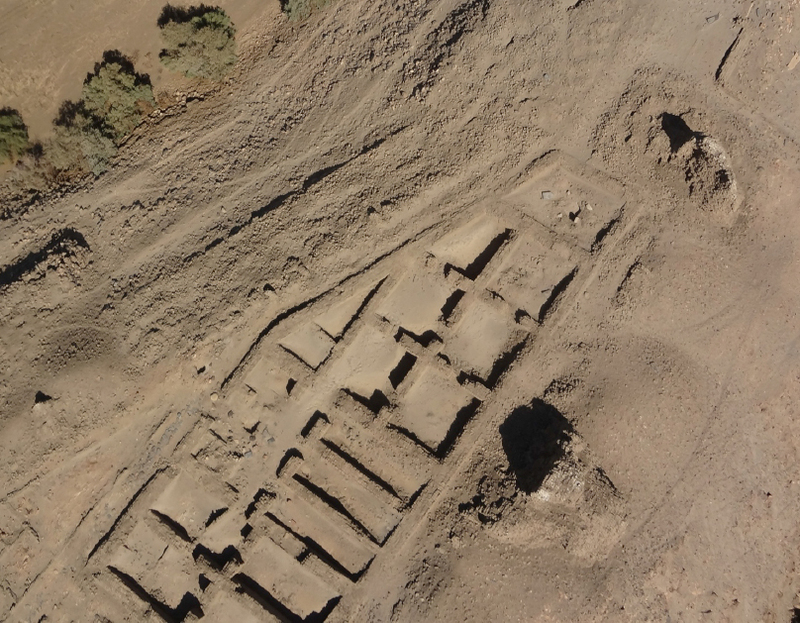 The replication of the form of building, once at the entrance to the fort and once in the area where the major material wealth was presumably stored, would tend to reinforce the idea that the structures had something to do with accounts and control. The rooms in this area were heavily modified. The present doorways between chambers mostly seem to have been later cuts through the walls. Thin cross-walls subdivided a number of rooms. The URAP has not yet undertaken any work in the granaries and treasuries.